Mahabaleshwar at its best and sweetest. 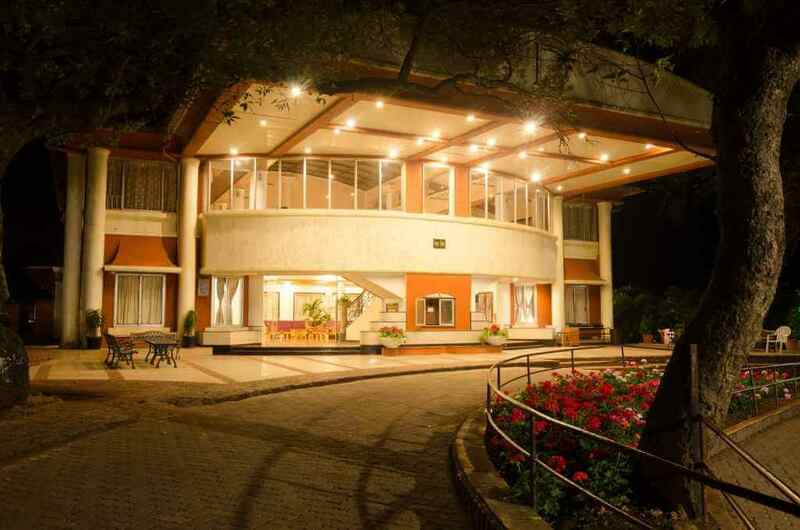 For just over half a century, knowledgeable visitors have seen Hotel Dreamland as the ideal base and Best Place To Stay In Mahabaleshwar from which to enjoy Mahabaleshwar’s many pleasures. Dreamland is not just a hotel, but an entirely natural environment. Excellently-equipped hotel developments nestle among lush vegetables on 23 acres of land. More than 70% remains wooded and forested and includes our own organic vegetable farm on which we grow the tasty succulent vegetables for our rich vegetarian cuisine. Though centrally located at the heart of the township, Dreamland still reflects the serene calm that gives Mahabaleshwar its character. • A/C rooms/Duplex Suites available. • 2 Conference Halls with facility for 700 Delegates, Wedding parties and receptions for 1000 guests. • Swimming Pool, Jacuzzi, Health Club, Gymnasium, Sauna, and Steambath. • A range of cuisines. Gujarati and Jain Thali, South Indian, Punjabi, Chinese and Mexican, featuring vegetables from our own organic vegetable farm. • Fast-Food bar and Ice-cream Parlour. • Self-sufficient bio & eco-friendly farm using only natural fertilizers. • Indoor / Outdoor / Children’s games. • Poolside Buffet & Banquet at the Tropicana. • Taxi on Call. / Doctor on call. • State Bank Traveler’s Cheques honored. • Attractive off-season packages. All major credit cards accepted. Mahabaleshwar at its best and sweetest. For just over half a century, knowledgeable visitors have seen Hotel Dreamland as the ideal base from which to enjoy Mahabaleshwar’s many pleasures. Dreamland is not just a hotel , but an entire natural environment.